What Becomes of the Brokenhearted? The sun peeking through the leaves of the trees creates a dappled effect of light and dark on the porch floor. The kitten rolls and scratches, rubbing her back and sharpening her claws. A breeze sifts through the lattice work from the south and the shadows slide lazily back and forth across the porch floor. The birds sing sweetly, no screeches, just lovely songs trilling to each other. Mornings like this are worth a lot to the soul. I came home to retrieve something I had forgotten and walked in on my husband and my granddaughter, in a lover’s embrace, in the doorway of my bedroom. …..My heart hurt, my body went hot and cold, I felt ill, sick to my stomach, shaking. I left, then returned to confirm what I saw, before leaving. I was out of town before I realized the full implications and returned to report what I witnessed to the police. …. The word brokenhearted speaks to me. In the days and months to follow, in the blackness and fog, it became clear that my husband had been sexually abusing my granddaughter in our home during the years she was in our care. As I allowed this to wash over me I began looking backward in time and found many of the ‘problems’ we had as a family were due to this unholy relationship between my granddaughter and her grandfather. To add to this pain, upon cleaning out his things, I came upon letters and journals of others he had been with during our marriage. I had lived 25 years believing lies, trusting the untrustworthy, loving one who could not love. My initial reaction to that morning was disbelief. My mind refused to accept what I saw. My view of my husband and my granddaughter changed. I saw him with disgust and I wanted to cradle her. She was thirteen at the time. Later it was revealed that this had been going on since she was seven. What followed were months of questions. Why? Why did I not see this? Why didn’t she say something? Why did he do this? WHY, Why, Why, why…… And the answers came: my God is sufficient; my God knows and understands; my God heals; my God was there. My focus remained on God and His ability to carry us through. He would reveal the truth in time. “He reveals deep and hidden things; he knows what lies in darkness, and light dwells with him” (Daniel 2:22). I became more steadfast and determined to do what God would require. My husband was a truly sick, manipulative man in need of help and repentance. I worked to get my granddaughter help, I worked to rebuild our relationship, and I turned my husband over to God, to his care and molding. Emotionally I felt drained, intellectually I searched for truth, physically I was tired, and spiritually I drew even closer to God. My identity hurt. I didn’t know who I was. I had been mother, wife, and grandmother. Now I was alone, coming home to an empty house, waking to an uncharted day. I found I couldn’t sleep, and then I would sleep too much. I didn’t want to eat, and then I would snack constantly. My days went by with less and less being accomplished. They seemed long sometimes. I would forget things, lose things, and miss appointments. I felt self-conscious, like others pitied me, like I was touched by dirt. My trust was destroyed, I had put my trust in my husband and he used it to hurt a child, and so hurt me and the family. The nature of the offense made it public and I felt contaminated by the shame. Where did this lead me? It led me to prayer and God’s Word. I have journals filled with scriptures and prayers. Daily placing myself and the others in God’s hands, asking the Spirit to heal, lead, guide, I found God’s word is powerful and does not return empty. As I read, whether Old or New Testament, I found others suffering as I. I found others guilty of the lies, cheating, defiance, and hatred I had been exposed to. And I read of God’s mercy and his healing. I read of his compassion and love. The words never leave jump out. The words everlasting love lift off the page to my heart. Did I experience anger? Yes!!! Often. During our marriage, during the dysfunctional time, and after the truth came to light. What did I do with that anger? I gave it away. Turning it over to the Lord was frequent. Explosions occurred, but thankfully, I was alone most of those times. At one point however, it left me stranded. I was with my son and his wife when I had an episode of amnesia. It didn’t last long, just long enough to frighten us. God is faithful. It was short and I turned once again to him with fervor, praising him for healing, loving me and being there for me. I learned to let the anger wash over me; let the log of anger in the stream float on by. I learned to not wade out into the water and pull it out and hold on to it. I learned to recognize that I am not responsible for the actions of others, only my own. They answer to God for their own deeds. The sun is making an appearance; the trees are alive with birdsong. The cats call to each other. Life is rampant around us. Spring—the ‘old has passed behold all things are new.’ We have promise of a new life, new love has blossomed, new growth is progressing, and we are regenerated through our relationship. God has promised blessings to his faithful and we have received those blessings. At about 16 I had a vision, I wrote it. I saw a perfect world in which all held the truths of God close and applied them to their lives. War ended, strife ended, greed, envy, hurt, pain ended because all were engaged and focused on preferring one another, serving one another, acting in unity. That is heaven—what completes it is God’s presence—a constant outpouring of His spirit in and through us. Then I took my eyes off the possibility and looked on reality—the sin around me—and was filled with despair. And the path I took reflects that despair. I have come through the tunnel of despair to the light of His Word and can once again see what will be. Knowing I can live in that place now, by choice. Even as my body remains in the presence of good and evil, I choose the Word—the good, and choose to disallow the evil to place darkness on my life. It is now four years later, I have a new husband, my granddaughter is living with her parents and doing well. God is good. While reading through your story, I was feeling the pain of your traumatic event. My heart went out to you with mercy and compassion. In the broken places of our lives, God picks up the pieces, like a puzzle and starts to put them back together again, so that we may be healed. I truly thank God for you, your insight and the Word of God that you freely share with so many others. You helped me today. In fact, I was broken after reading your story. God is revealing more of himself to me through you. It took a lot of courage to put your story out there to help others. I praise God that he is working in such a marvelous way in you and through you and Dale. I’m so glad that you found Dale and that you have each other. I am thankful for your response. My purpose was to give God the glory for who He is and what He does. Sometimes we are so under we don’t see it. My times spent in His Word were the times I could see Him and know Him. He is my salvation. I am so thankful that this can help others know and grow in Him. “Awesome testimony”!!!!!! Thank you for sharing!!!!! Thank you, SR. The Lord is my hope, my life, my salvation. He is my strength and my walk with Him grows sweeter each day. There is nothing impossible with our God. How truly magnificent and awesome our God is! Words are not enough to describe his everlasting love for us. I am so blessed by your comments. We share to heal. We share in obedience to the Holy Spirit. It is so comforting to hear how the sharing is helping others. I am so with you in that words are so inadequate to describe his everlasting love for us. Thank you for your comments. You are most welcome, Gracie. I was blessed by your blog as well. She is a young lady now and struggling to live a normal life. Some of the hindrances are of her own making, some are the aftereffects of what she was put through. She exhibits a lot of confusion. She was presented with the Gospel, however, it was overshadowed with the circumstances. I believe the Word of God does not return empty and look for the day I see it bearing fruit in her. 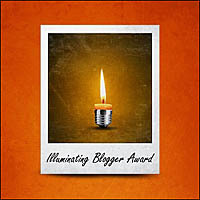 I just found your blog via Wendy of the Greenlight Lady blog….I just read about your journey as you so openly shared it. There has been something in my life which has ignited a similar anger and distrust, which I have had to give to God many, many times as it tries to come back to the surface. There has been forgiveness by the grace of God, and the relationship is alive and growing, I am elated to say. I am glad to hear that your granddaughter is doing well, and that you have new love in your life, too. I look forward to reading more of what God is giving you to say! I was given a helpful analogy to use when the logs of pain come back to the surface. Think of life as a stream and the logs of pain surface and come floating by. We make a choice to either drag them up on shore and build a house of pain or let them go on by. I choose to let them go on by and they don’t resurface as much anymore. Of course I give credit to the Lord’s healing power for that. He can do the same for you. It is a visual thing but you are making the choice and He helps in that. God bless you, my prayer for you is you will find strength in Him. Thank you for your kind response. The Lord is my strength. We fully realize that when we come to a place that is more than we can bear. He takes over at that point and I am forever grateful. God bless you. What an amazing testimony, battle and passage! I’m glad that you hung tight and was determined to heal…God’s way. God bless you, your new family and ministry. Stay focused. And when you get a chance, stop by and read my “bulldog” stories of determination. Much love sent your way. Since you wrote it…I will venture to ask…do you mean your husband was renewed or you are with someone else? I am just so glad your granddaughter is okay. I am stunned by this tale. Horrible. Beautiful. Glorious. Diana, I am with someone new. I placed my former life and my former husband into the hands of the Lord. He has graced me with a new husband and a new life that glorifies Him. I am truly blessed. I visited your blog and will be following you. I look forward to reading more in the future. We serve an awesome God. Wow, Gracie, this is a powerful and somewhat frightening story! Thank you for sharing this. Isn’t it great that God is always there? In the storm and after the storm? He knew and provided. Gracie, your story deeply touches me. I have had an aching heart for a dear friend going through an awful divorce, and this gives me hope that she will come through as strong in the Lord and blessed as you have. I admire your godly attitude and heart. Thank you, Wendy. You have been an inspiration to me. I appreciate your words. Merry Christmas to you as well. Thank you so much for sharing your story, your pain, your victory through the love of Jesus. So many of us have similar stories inside of ourselves…so important to share our personal testimonies so hurting souls know they are not alone. You have shared in an honest, open way that touched my heart. You are welcome. It is to the glory of God and what He can do in and for us.